Top Santa Monica Dispensary | Best West Hollywood Dispensary | Greenmed! You are at:Home»Business»Top West Hollywood & Santa Monica Dispensaries! With Marijuana Dispensaries in Los Angeles cropping up left and right, finding your ideal spot can be daunting. Fortunately, if you live in the Santa Monica or the West Hollywood area — or you frequently find yourself nearby, GreenMed’s list of the top Santa Monica Dispensary makes finding the perfect one for you easy. Below is our choice of top rated West Hollywood and Santa Monica Dispensaries near the area. Follow our guide and you’re sure to discover the perfect Dispensary in West Hollywood or Santa Monica to fit all of your wildest weed needs. 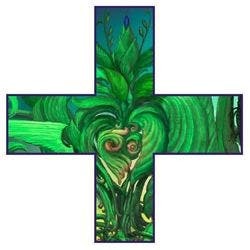 Zen Healing is one of the highest rated of all Los Angeles Dispensaries! Located in the West Hollywood, and is certain to fulfill all of your cannabis dreams. In full compliance with Prop 215 and 64, Zen Healing offers both medical and recreational pot to fit your needs. With one of the largest inventories in the area, featuring, but not limited to; Cotton Candy, Purple Skywalker, Sour Diesel, and the LA standard Green Crack, Zen Healing is your new one-stop shop. Being one of the oldest dispensaries in the area, Zen has a loyal customer base that is often rewarded with special deals and promotions. We recommend visiting the site to read up on any upcoming goodies! Be sure to call in before going to discover all of the additional benefits offered by High Grade! 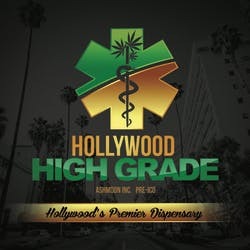 Herbarium is a terrific choice for those looking for a premium Hollywood Dispensary. This beautiful shop features knowledgeable staff, free parking, and a great atmosphere. In addition, first-time patients receive a 15% discount off their first purchase. The store features a prize wheel that customers can spin for free prizes and daily specials that are certain to make your shopping experience all the more pleasant. A versatile place, offering both medical and recreational products, Herbarium does not disappoint. The Herbarium website features a convenient “takeout” service that allows you to place an order online and pick it up from the store. Helpful staff are usually online and ready to assist you with the checkout process through a convenient chat system. A beautiful storefront and friendly customer service is what you can come to expect from this marijuana dispensary. Santa Monica is not home to very many walk-in locations, so ERBA is an excellent choice for those who live in the area and prefer the in-person experience. ERBA is licensed as both a medical and recreational spot, providing medicine and fun, all in one. First time patients get 5, 20% off discounts on applicable products, making ERBA an excellent choice for trying something new. Pre-rolls, tinctures, accessories, edibles, and more are currently on the menu and can be ordered directly from the ERBA website. A wonderful little joint right in the heart of Santa Monica, Grace Medical provides high-grade cannabis for anyone with a referral. This facility was founded on the belief that everyone should have access to quality health care and safe access. These principles are certainly upheld by Grace’s wide selection of products and friendly customer service. On top of this, Grace offers excellent incentives such as a 10% discount for veterans and free joints (with purchase) for patients. One thing to emphasize is that a genuine medical recommendation is required to enter the shop, so don’t leave home unprepared! 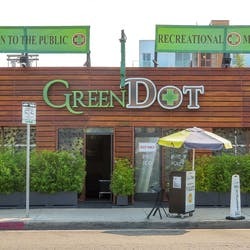 Green Dot Medicinal is a terrific spot in beautiful Marina Del Rey. Not quite Santa Monica, but still by the beach, this dispensary includes a wide range of products and popular brands, including; Raw Garden, Rove, and Select Oil. Green Dot’s excellent customer service is often boasted of and their product is rated top notch! As if the convenient location wasn’t enough, Green Dot also offers 20% off to first time patients, not just on their first visit, but their first 7 visits! Contrary to the name, Green Dot offers both medical and recreational services, in compliance with current California marijuana regulations. (18-20 need a recommendation, while 21+ can shop all they want!). With the increase of Los Angeles Dispensaries, explore and try everything. By experimenting with these top-rated Los Angeles dispensaries, one can quickly and easily discover exactly what suits one’s needs. Take advantage of this list and give these Hollywood and Santa Monica dispensaries a try. Be sure to do your own research, as the expanding marijuana industry is still growing and many more shops are likely to spring up in the near future. Want to find the best cannabis products in your local area? Give GreenMed a shot! The GreenMed website and App feature an interactive menu guide which lets you locate the best, most affordable strains near you. GreenMed — Cannabis Simplified!